The very ethos of this blog is to express your love and nurture by cooking for the special people in your life. Now more than ever, I must reiterate “Cook for someone you love”. While we think and pray for all the families stricken by these ghastly events let’s also remember to articulate our love for the important people in our lives. This simple recipe is certainly not going to assist with world peace but it will make someone feel special and put a brilliant smile on his or her face. 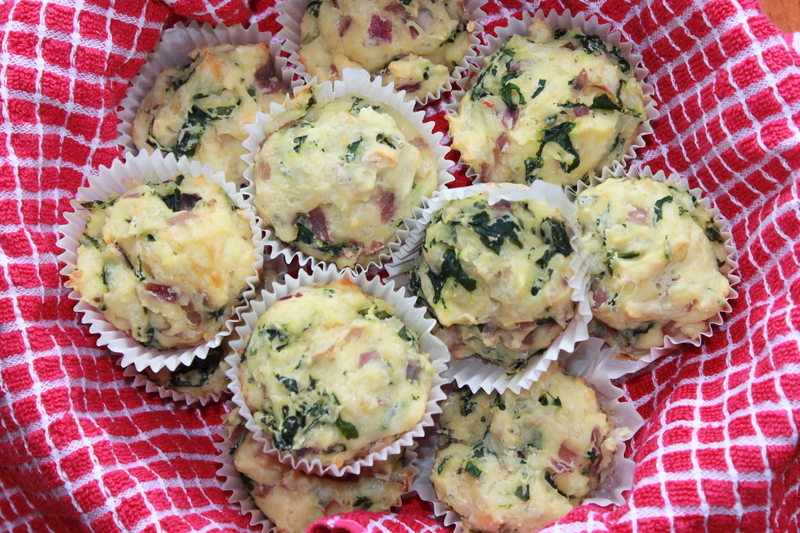 These savory muffins are a cheesy and slight airy little breakfast treat that provide a momentary escape from all the tragedies and remind your loved ones that you are grateful for their presence. 1) Preheat the oven to 350 degrees F. Line a 12 muffin tin with paper liners and lightly spray them with cooking spray. 2) In a medium or large skillet heat the butter on medium heat. Add the diced onion and cook until the onion is soft and starts to turn color (about 5 minutes). Add the garlic and cook for a minute. 3) Add the spinach and cook for 1 minute stirring frequently. Now stir in the nutmeg and cayenne. Remove the skillet from the heat and allow the mixture to cool for 5 minutes. 4) In the meantime, in a large bowl combine the flour, baking powder, cheese and salt and pepper. In another bowl whisk together the buttermilk and egg. He slowly pour the liquid mixture into the dry one, using a spatula to fold it in. 5) Add the spinach and onion mixture and fold it in nicely. Make sure that the mixture runs all throughout the dough. 6) Divide the batter evenly among the 12 muffin cups. Bake in the oven for 25-30 minutes until the muffins are light golden and fully cooked through (Insert a toothpick in the center of a muffin, if it comes out clean the muffins are ready). Cool for 5 minutes and serve slightly warm with butter or goat cheese. NOTE: These taste best warm! These would be a great brunch menu item! Thank you for sharing! It’s times like these that make you want to curl up next to the ones you love. Very sad week, indeed. 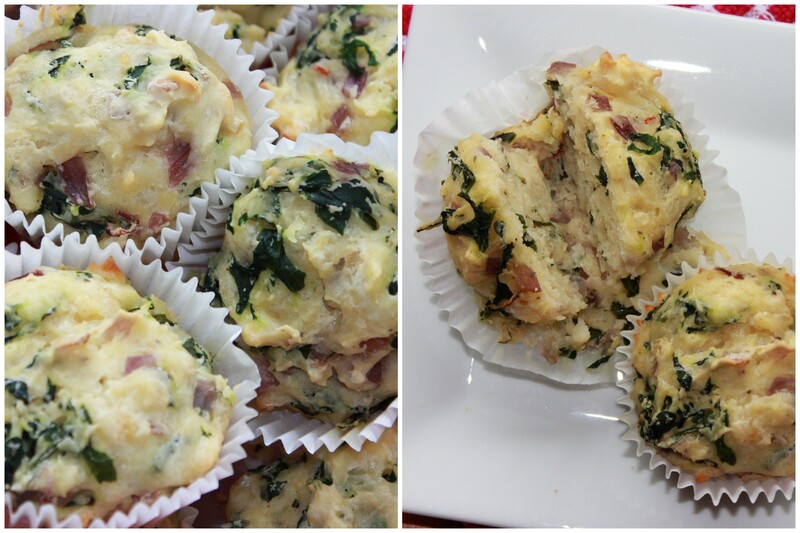 These savoury muffins look fantastic. I made a cheddar and zucchini version a while back for the blog. But I absolutely love how you added fresh cracked pepper… I put pepper (and extreme amounts) on absolutely everything. Great post! Thank you Julie. I am going to try your cheddar and zucchini muffins. These look so good! I’ve wanted to try savory muffins, I love the ingredients you used in these. I hope you get to try them soon. I have recently come to love savory breakfast muffins. Wonderful recipe. Delectable photography as well. Makes the food more appealing. Beautiful post – and the muffins look divine, too!